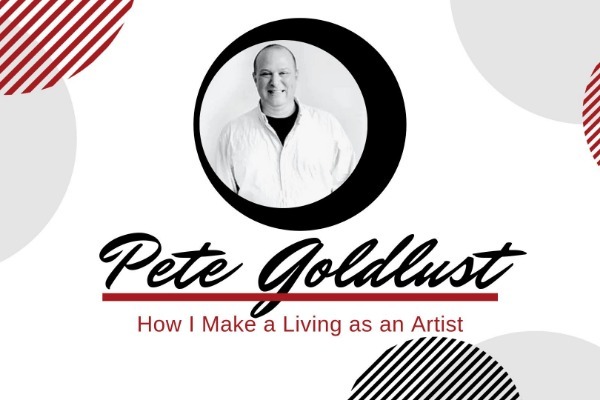 Join the Arts Center on Wednesday, Feb. 13, from 5:30 p.m. to 7 p.m., and hear from a currently-exhibiting artist, Pete Goldlust. Learn how he makes his living as an artist and what his days look like. There's a $5 suggested donation. Pete Goldlust received his MFA from the School of the Art Institute of Chicago in 2001. Since that time, Pete has shown his work in venues throughout the U.S. and abroad, including solo exhibitions in Chicago and Los Angeles. His work has been featured in publications ranging from Art in America to Ripley's Believe It Or Not!, and from Elle Belgium to Raising Arizona Kids. Pete and his wife and collaborator, Melanie Germond, and their two young sons, recently relocated from the small artist community of Bisbee, Arizona to Eugene, Oregon. They are currently enjoying the novelty of being rained on. When he's not sitting in meetings, Pete enjoys spending time looking under rocks for curious, inspiring, squirmy things. Pete's public artwork includes commissions for the cities of Tempe, Tucson, and Scottsdale; the award-winning Children's Museum of Phoenix; the Walnut Creek (CA) Public Library; a bike path in Loveland, Colorado; a nature center in Cedar Rapids, Iowa, and a pediatric clinic in Douglas, Arizona.